Albacore Tuna are highly sought after in all the places they are found. They are easily identified by their elongated pectoral fins. Every summer on the West Coast of the United States, anglers eagerly await their arrival. Albacore are always on the move, swimming vast distances in their lifetimes. They are found in temperate and tropical oceans throughout the world including the Atlantic, Pacific, and Indian oceans. Albacore like areas where cool and warm waters mix. They will eat small baitfish, but feed primarily on squids. Albacore spawn in the winter and females produce millions of eggs. 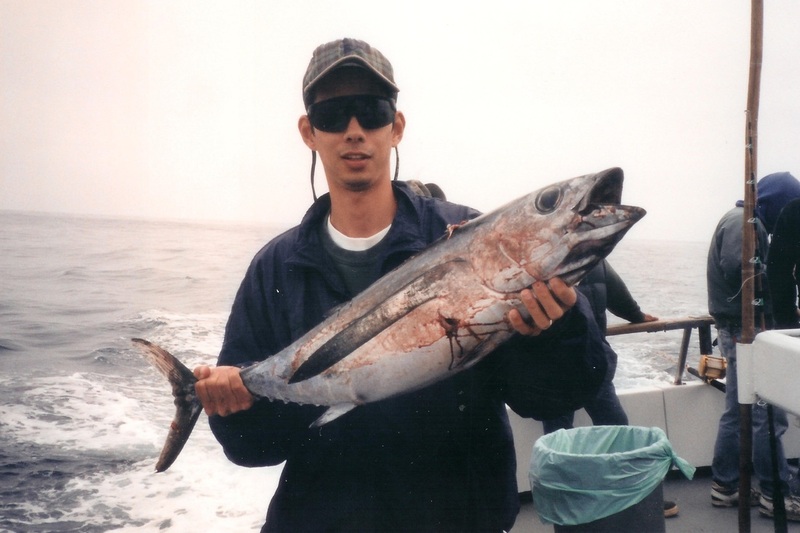 Albacore reach sexual maturity in about 5 years and live to around 12 years old. Albacore are very tasty. Albacore are the only tuna that can be marketed in the United States as “white meat tuna”. Canned tuna is usually Albacore and they are responsible for the creation of the canned tuna industry in the United States. Unfortunately, they have been overfished and are not nearly as plentiful as they once were. Like all Tuna, Albacore put up a good fight for their size. They spend their whole lives swimming so they are basically a big muscle. They max out around 80lbs but a fish half that size is a good sized fish. Albacore can be caught on both spinning and conventional tackle. Anglers usually use heavier outfits for trolling, but for bait or lure fishing a 20-30lb class setup should be sufficient. Since they are caught in the middle of the open ocean they aren’t going to wrap your line up in anything (except possibly your own prop) so you don’t need heavy tackle. However, if you are fishing from a stationary boat like a long range party boat (common in Southern California) you need to have a lot of line capacity if you fish lighter line so that you don't get spooled since you can't chase the fish. A good reel for these guys is the Shimano Trinidad 16N, but there are many others that work great. Click here for tackle recommendations. Albacore are readily caught on both bait and lures. Fish are usually located by trolling, and once they are located they can sometimes be brought next to the boat by chumming small baitfish. At that point they can be targeted with baits or lures. If the trolled fish gets unhooked it usually swims away and the school follows, so it is important to get that fish in the boat. Like all tuna they have pretty good eyesight so you might want to try a fluorocarbon leader to reduce visibility. This also has the added bonus of abrasion resistance. Albacore are usually located by trolling. Popular trolling lures include cedar plugs and tuna feathers, as well as Rapala or Yo Zuri type plugs if you are trolling a little more slowly. Small daisy chains of rubber skirts can work well also. Make sure you match the size of your trolling lure to the size of the baitfish in the area. If you know there are fish around but you can’t get bit try a smaller lure. Once you locate the fish the fish, you can sometimes catch them on soft plastic swimbaits or metal jigs such as those made by Megabait. Although I have seen them caught on these, I have never had any luck with them myself. Here in California a prime bait is a nice lively anchovy. Second choice would be a sardine if anchovies aren’t available. Personally I like an anchovy on the larger side or a sardine on the smaller side. It's sometimes tough to get a bite if all you have are large sardines. Conversely, small anchovies can be hard to cast and fish. 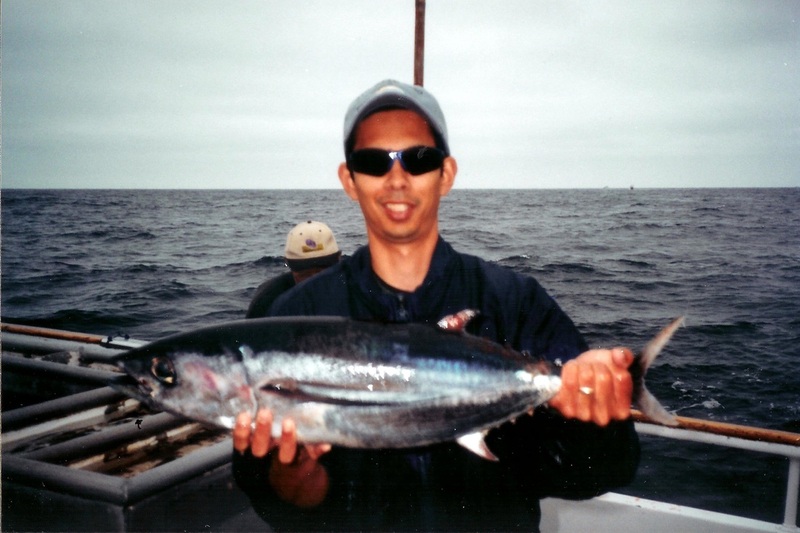 In years when there is a good Albacore migration and they make it all the way up to Morro Bay or even Oregon, some large ones can be caught up there. The San Diego long range sportfishing fishing fleet usually catches plenty of them even in years when they don’t make it up through California.